Please scroll down to peruse the bios below. They are shown in order of receipt as the gallery format does not allow for insertions once uploaded. Not every registered participant has wished to appear in this gallery, and of course there will be plenty of time for networking in person at the event. You may wish to stop by this page regularly, as profiles will be added on an ongoing basis. Gwen Clayton, MA, read Oriental Studies (Japanese) at St Catherine's College, Oxford and then studied law at the College of Law, London. She trained as a solicitor with a City law firm, qualifying into their Tokyo Office in 2001, and worked as a commercial solicitor for 10 years in Tokyo, Bristol and Zurich. She has been a freelance translator since 2007, working from Japanese and German into English. She is a member of the Professional Conduct Committee of the Institute of Translation and Interpreting (ITI) and a Continuing Professional Development Officer for its Japanese Network. Originally from the UK, Karen Rückert is a specialist legal translator based in Germany. She translates from German into English primarily in the fields of commercial law, intellectual property and litigation. Karen works exclusively with direct clients which include German law firms, in-house counsel and Federal Ministries. She initially worked in-house for a large commercial law firm in Germany before embarking on her freelance career in 2007. She holds an MA in Legal Translation and is a publicly appointed and sworn translator for the German courts. Laura Vuorinen is a language professional from Finland specialising in legal translations. After running her own translation business with a focus on translations for the CJEU for more than a decade, she now works as an in-house translator in one of Finland’s leading business law firms, Castrén & Snellman Attorneys Ltd. Her working languages are English, Italian and Finnish; she is a sworn translator from Finnish into Italian and Italian into Finnish. Rob Lunn is a freelance translator based in Barcelona. He translates from Spanish and Catalan into English and specializes in legal, business and marketing translation. He is particularly interested in translating contracts and working out how to best render tricky legal terms for English readers. Originally from California, Hilary has lived and worked in France for 15 years. She holds an MA in French and Spanish translation from the Monterey (now Middlebury) Institute of International Studies and a postgraduate diploma in judicial translation and interpretation from ESIT. Focusing solely on the legal and commercial fields, Hilary works primarily with international courts, law firms and large companies. As a sworn translator and interpreter in France, she also produces certified translations and interprets in legal and judicial settings. Holding a degree in both Translation and Law, Ondřej Klabal has been a freelance legal translator and interpreter working with English, Spanish and Czech. In addition to freelancing, Ondřej pursues an academic career, doing a PhD on legal translation as well as teaching translation and interpreting in both university and professional settings. In the Czech Republic, where he is based, he is also involved in training would-be official translators and interpreters. A jurilinguist and certified legal translator for the past 30 years, Louis Beaudoin teaches legal translation and legal drafting and has given many presentations all over the world on Jurilinguistics, Legal Translation and Legal Drafting in French and English. He is the author of two books: Expressions juridiques en un clin d’œil (Legal expressions in a wink), a bilingual work examining collocations in legal discourse, and Les mots du droit – Legal Thesaurus, an analogical legal lexicon. He worked for the United Nations as a reviser for the International Criminal Tribunal for Rwanda in Arusha, Tanzania. Gill Mertens is a legal, financial and academic translator, and holds postgraduate degrees in law, economics and legal translation. She has previously worked as an external translator for various Federal Ministries and public institutions in Germany, and as an Academic Editor at the Max Planck Institute for Comparative and Private International Law. She has also taught legal translation at postgraduate level in London and Hamburg. 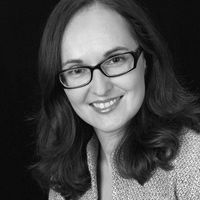 Gill currently works as a lawyer-linguist and deputy to the Head of English Language Services at Munich Re. Łucja Biel PhD is Associate Professor at the Institute of Applied Linguistics, University of Warsaw, Poland. She is Deputy Editor of the Journal of Specialised Translation and Secretary General of the European Society for Translation Studies. She has been an English-Polish legal translator since 1997 and acts as expert for the Polish Normalization Committee. She has published over 40 papers in the field, e.g. in The Translator, Meta, Jostrans, and Fachsprache, and is the author of the book Lost in the Eurofog: The Textual Fit of Translated Law (Peter Lang, 2014). Originally from the UK, Stuart is a translator currently working for multinational law firm CMS in Madrid, Spain, where he has been for three years. He translates from Spanish/French to English across all of the firm’s practice areas. He also provides freelance translations and regularly collaborates with entities such as the Spanish Association of Risk Management and Insurance. Annaliese Garvie read Arabic and French at the University of Cambridge. She then worked in international marketing for over ten years, latterly with a Financial Times Group member company. She has been a freelance translator for Arabic and French into English since 2006. In 2010 she was awarded the Chartered Institute of Linguists Diploma in Translation (Arabic to English). She works across a variety of fields with the majority of her work in the legal and financial sectors. Bill Smyth is a specialist German-English financial translator with experience across finance and an interest in related areas of law, e.g. financial regulation. He worked in banking in Frankfurt and London in the 1990s and has been translating since 2001. He is currently Director of his own specialist translation company Bill Smyth & Associates Ltd.
Danaë Hosek-Ugolini is a legal, business & maritime translator as well as an English-qualified solicitor with over ten years of experience. She holds a diploma in legal studies from Oxford University and a Master’s in private law from the equally august University of Paris II. Her language pairs are French & Greek into English and Greek & English into French..
Christine Schmit is a freelance legal and business translator based in Luxembourg working from German, Spanish and English into French and Luxembourgish. She holds an MA in Translation from the University of Geneva and a Master’s degree in International and Comparative Law from the University of Toulouse. She is a sworn translator before the Superior Court of Justice of Luxembourg and the current Vice-president of the Luxembourg Translators and Interpreters Association. He works particularly in the fields of civil procedure, copyright, company law and mergers and acquisitions. GR-EN legal translation tutor at Glossologia Translation Studies Centre in Athens for the last 10 years. Nelia Fahloun translates from English and Spanish into French, specialising in corporate communications and legal translation, with a strong focus on international law and justice. Her main clients include major international organizations, international courts and tribunals, public sector organisations, and private companies. She is an occasional conference presenter and regularly publishes articles in publications such as the ITI Bulletin. Claire Turner is a German-English translator and qualified solicitor with a BA (Hons) from University of London. She has practised as a solicitor in the UK since 2001, working with a wide range of legal documents, contracts, correspondence and Court proceedings, in English and German. Claire is currently a Career Affiliate of the ITI and is launching her freelance legal translation career in February 2017. Andrew Leigh, LLB, MA is a legal translator from French, Spanish, Italian and Portuguese into English, specialising in legal, business and commercial translations with a specific interest in contract law. He has written a number of articles, presented webinars and run workshops on translation business and law-related themes, most recently a highly successful dual French/English litigation workshop for the Institute of Translation and Interpreting. He is also Chair of ITI’s Professional Assessment Committee. Miguel Ángel Campos-Pardillos is currently Head of the Department of English Studies at the University of Alicante (Spain), where he teaches legal translation at postgraduate level and is responsible for an online course in English-Spanish legal translation. He is also qualified as a sworn interpreter. Miguel Ángel is a language trainer for the European Judicial Training Network. His publications include two English-Spanish dictionaries, on Real Estate and Human Rights. He has also joint-authored a monograph on US legal English and an English-Spanish legal dictionary, and has written other articles and book chapters on legal English and translation. Neil Inglis moved to Washington DC in 1984, where he worked as a freelance translator until he joined the staff of the International Monetary Fund (IMF) in 1990. He is currently senior reviser, Language Services, Corporate Services and Facilities Department (CSF). Neil delivered the keynote speech at the 1996 Annual Conference of the American Translators Association (ATA) in Colorado Springs, Colorado. In his spare time, he edits the Tyndale Society Journal, a history magazine that addresses a variety of subjects, including the history of translation. Christin Dallmann holds both a German law degree (Humboldt University Berlin) and an MA in Legal Translation (City University London). She has also obtained an additional academic qualification in English Law. Since 2011, she has been working as a freelance legal translator and reviewer, specialised in contract and company law, jurisprudence and litigation & arbitration. After 5 years in Munich and London, she is now based back in Berlin where she spends her free time scouring stores for those all-essential PG Tips. Frédéric Houbert is a freelance EN>FR legal and financial translator with 20 years' experience. He has taught legal translation at postgraduate level and conducted seminars for professional bodies, such as SFT in France, and academic institutions such as the University of Geneva. He is a regular speaker at translator events around the world - recent examples include Norway (2014) and at the University of Trois-Rivières, in Quebec, as part of the ICEBFIT Conference (2016). He has published a large number of articles on legal translation and the language of the law and is also the author of three successful books on the subject, including most recently the Dictionnaire de la terminologie juridique (anglais-français). His current clients include the International Criminal Court and INTERPOL. Robin Bonthrone has over 25 years’ experience as a German-to-English financial/legal translator specialising in financial accounting and reporting, audit, assurance and advisory, tax law, financial legislation and financial sector regulation-supervision. He coordinated the German version of International Financial Reporting Standards (IFRSs) for several years and translates the German Accounting Standards. Robin Bonthrone is also a financial translation trainer and co-chair of the FIT ISO Standards Committee. Sally read Modern Languages (German and French) at Somerville College, Oxford. After graduating she worked for a bank in Spain before changing direction and qualifying as a solicitor. She then worked as a commercial litigator for a major London law firm for seven years. She became a Spanish-English translator when she moved to Central America with her family in 1996. As well as having extensive translation experience, mainly in the legal and business field, Sally is a practising solicitor with her own firm specialising in employment law. She is a member of the ITI Professional Conduct Committee. Madalena Ferreira Åhman was born in Lisbon, where she obtained her law degree and postgraduate degree in EU law. She worked there as a business lawyer for nine years, before moving to Sweden in 1997. Since then, Madalena has been working as a freelance legal translator, mainly for the Court of Justice of the European Union, translating from French, English, Italian and Swedish into Portuguese. She is also a state authorised translator from Swedish into Portuguese since 2002. Belén Carneiro graduated in Translation and Interpreting Studies from the University of Vigo, Spain, in 1998. She started working as a full-time translator and proofreader in 1999 and was instantly drawn to the world of business and finance and the law, specialising in those fields with postgraduate studies. She is a sworn translator of English and member of APTIJ. Naomi Norberg, J.D., LL.M., Ph.D., specialized in employment discrimination law in California and began working as a translator in France through chance encounters. One such encounter led to her translating several legal theory books and obtaining an LL.M. in comparative criminal law and a Ph.D. in international and comparative law (specifically, conflicts between anti-terrorism laws and human rights law) from the University of Paris I (Panthéon-Sorbonne). She works primarily as a legal translator through agencies, but also translates academic articles and conference papers in law and other fields, development agency reports, and various types of documentation for cultural centers. Stefanie Kuepper is a legal translator working from German into English and a qualified English solicitor. She also holds a German law degree as well as an LLM from University College London. She qualified as an employment lawyer and worked for a large London firm of solicitors for several years before starting her legal translation business in 2009. She works mainly for law firms, academics, legal departments of German multinationals, European institutions and niche translation agencies. Paul Skidmore is a specialist German-English legal translator and editor of legislation, case-law and journal articles. Paul studied law at the University of Cambridge and the European University Institute, Florence. He taught law at the University of Bristol and was a research fellow at the Humboldt University in Berlin before becoming a full-time freelance translator and editor in 2005. He specialises in EU law, working directly for EU institutions, German government ministries, university professors, law firms and NGOs. With an M.A. in linguistics from Yale and a background in theoretical and applied research, Corinna Anderson specializes in publication-level translations for scientific and professional communications. Corinna works with the French justice system and private legal professionals as a sworn translator and interpreter in France, and with other direct clients in the areas of business communication and academic publication. She is an active member of the SFT and regularly pursues training in legal translation and writing skills for translation. Based in the UK, Emmanuelle Darut is a French native translator with a particular interest in legal and medical translation. She works from English and Spanish into French for a variety of clients and with associate translators. She holds an MA Translation which gave her the opportunity to research legal translation issues (UWE) and in her spare time, she also enjoys translating cookery books to boost her creativity. Sabina Metcalf is a certified English and Russian interpreter based in London, UK. She is a member of the Chartered Institute of Linguists and has over 15 years of professional experience of conference and court interpreting, translations for oil and gas companies, and providing on-site support for both public and private sector. She was a recipient of George Soros fellowship for graduate studies from the United States Department of State, and has a Diploma in public service interpreting and a Master's Degree from the Middlebury Institute of International Studies at Monterey. More profiles will be added by our elves soon!